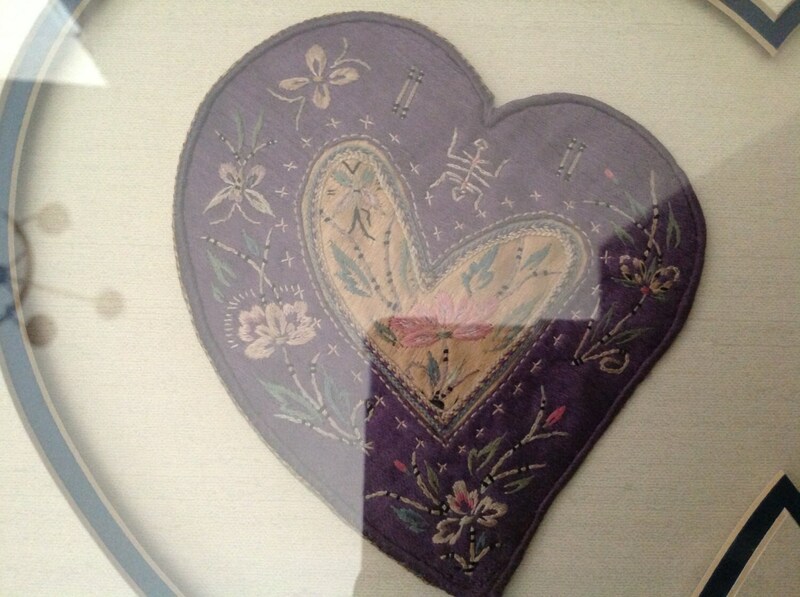 Offered is a beautiful example of embroidery work. 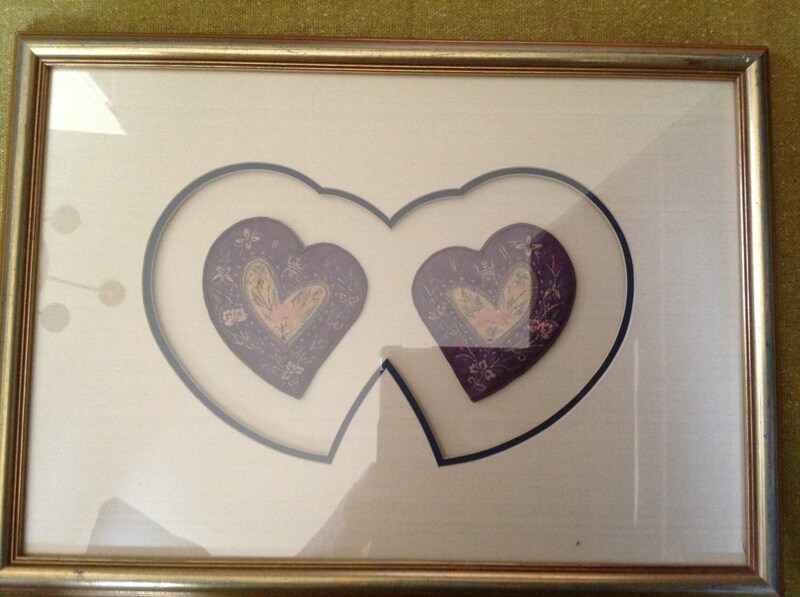 Two silk hearts are decorated with flowers and symbols with an Asian feel. The hearts are purple and pink. The background has a linen look. 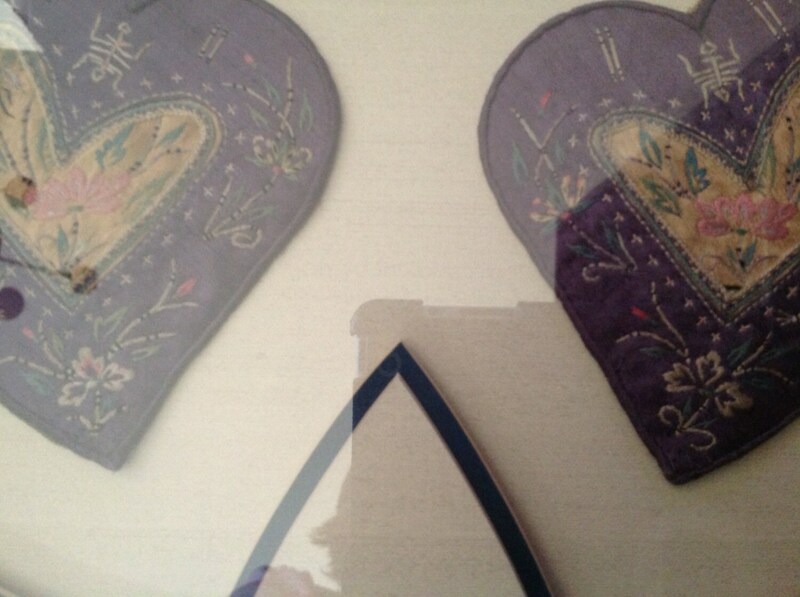 The matting is absolutely striking with heart shaped cut outs. The frame is gold with some bluish purple showing through. There are a couple of little dings in the frame, nothing serious. It is a very unique piece.